After 4 years of court battles over the murder of artist manager late Fennec Okyer, the court has finally discharged popular artist manager, Nana Asiamah Hanson aka Bulldog of all charges. Kwake Kese’s manager, Fennec Okyere was murdered at his home in 2014 in a home invasion. Bulldog was the only person arrested by the police in connection with the murder. 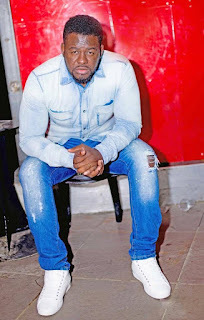 In a report filed by The Publisher Newspaper, The Accra Central District Court has discharged BullDog, who is also the Artist & Repertoire (A&R) Manager for Zylofon Music – over the alleged murder of Fennec Okyere. According to the report The court presided over by Worlanyo Kotoku said that the prosecution has been conspicuously absent in the matter.The court also held that the complainant had also been absent. “Prosecution not here; complainant not here, at the last hearing date, the prosecution has been conspicuously absent. I have no option than to discharge you” Mr. Kotoku noted. The court at previous sittings ordered Richard Gyambibi, the Senior State Attorney who wrote the advice on the case docket to appear before the court and explain certain “Coded” sections of the advice on the case docket. But on sitting, he failed to appear before the court. Judge Worlanyo Kotoku had no choice but to discharge Bulldog, the CEO of Bull Haus Entertainment. As it stands now, Nana Asiamah Hanson aka Bulldog is a free man.